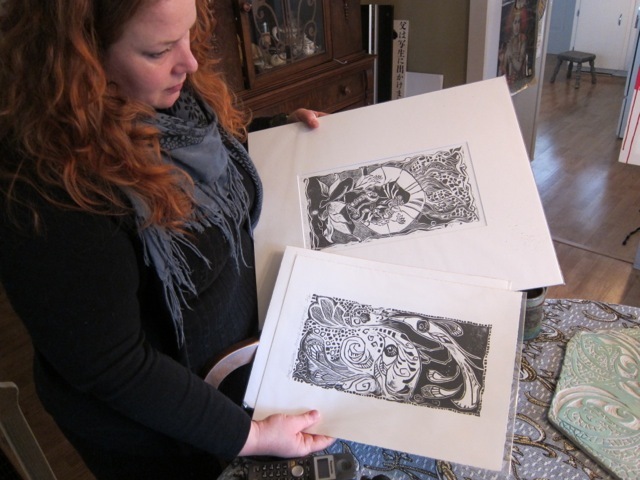 Back in December oook contributor Joanne Gervais had a conversation with artist, educator and artisan Rena Warren. Their conversation covered so much ground we decided we should run the full interview. So if you missed part one, here it is. 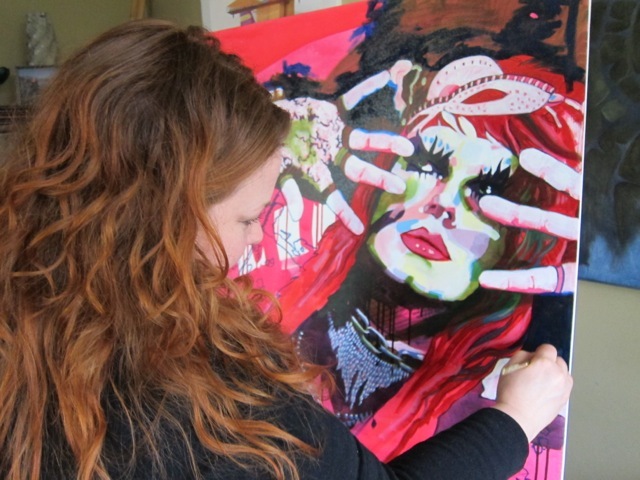 Joanne Gervais: When did you start making art work? Rena Warren: My mother said I’ve been drawing since I was big enough to hold a pencil. My grade 10 art teacher Mr. Lloyd gave me the senior art award and told me I would be an artist or art teacher someday and I thought he was nuts. JG: How do you describe your style? RW: Organic and devotional…..I have so much faith in the creative process….I would have to say that my style is simply an organic response to someone or something that I wish to honour….no matter what the medium is at hand. JG: How has your practice changed over time ? RW: In the case of portraiture, I believe that I have become more playful, perhaps taking more risks and using a bolder palette. JG: You work in a variety of mediums. 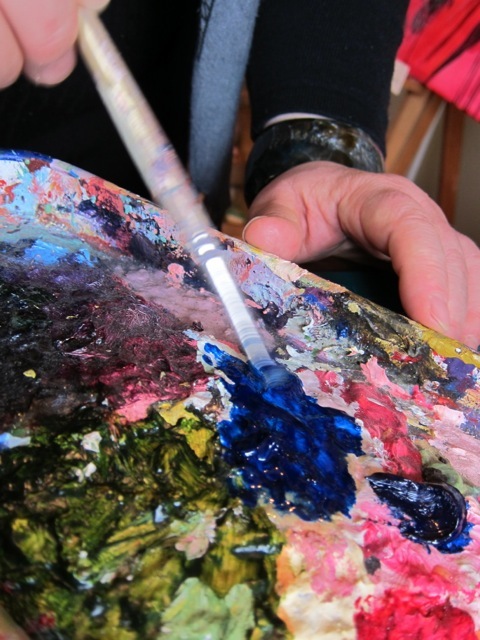 What is your artistic medium of choice? Why? RW: That’s a tough one. I’m am so A.D.D. that having several projects in different mediums going at once, keeps me from getting bored. I guess if I had to choose only one, it would be oil paint. I love the process of block printing, however oil paint allows for more loose and expressive work. As well, having slightly less control over my medium is good medicine for me. JG: What work do you most enjoying doing? RW: Sharing and communicating. Everything I do whether it be painting, teaching, photography, cooking, writing; would have no meaning if there were no audience to share it with, no feedback or dialogue created out of sharing or gifting of a work. JG: What themes do you pursue? RW: I don’t think that I have consciously pursued a specific theme, but now that I have begun looking at the range of work I’ve done, I can see that Archetypes continually surface in my work. “The Grand Design” also forms the basis for some of my work and teachings. Designs based on the Golden Mean, or radial symmetry found in nature are a constant source of wonder and delight. JG: What inspires you? What other artists inspire/influence you? Who have you learnt the most from? RW: I am a big fan of Andy Goldsworthy. His sensitivity to nature and its processes; his communication with and response to it (nature) is a process that I am most inspired by. Andy is a reminder that we should remember to regard our environment with childlike wonder. JG: What are you biggest challenges? Do you have creative blocks? RW: Sometimes I have to remind myself that ‘it’s ok if it’s not perfect’. Time management is a block for me as well. JG: Describe the ideal working atmosphere. Your favourite working conditions? Ideal studio? RW: The ideal working atmosphere is in LOVE. Seriously! Being in love with a person, a song, a poem, a city, the beauty of nature and that all encompassing thing that some of us call God….these emotions drive my creative impulses, so much that I wish to create an expression of beauty with which to honour it. As for an actual physical studio….I haven’t had one since University. JG: What do you dislike / like about the art world? JG: What do you like about your work? RW: I like that sometimes my work brings joy to others. JG: Does your work involve much research? Where do your ideas come from? RW: I believe that art is an expression of the innate. Research comes from living and observing. JG: Describe some of the art projects your students have loved. What are your favorites? RW: My students seem to respond most to painting, mask making and creating mandalas. I enjoy both of these projects because the evolution of these processes gives much insight into each individual and because I enjoy seeing the sense of pride evident upon completion of these works. JG: What aspect of teaching do you like the most? RW: I enjoy communicating and being engaged. I love to see the look on a student’s face when they make a breakthrough….when they become cognizant of their own growth. JG: What is your dream project? If you were awarded a grant of say… $2,000.00 for a major art project, how would you use the money? RW: I would love to publish an illustrated book using block print in collaboration with a group of children in India. I have traveled extensively to India and am familiar with an NGO there called Muskaan, which provides educational opportunities for children in rural areas who have no access to schooling. I would love to participate in this program, teach block printing to children, create an illustrated book about it, publish it, and have partial proceeds go back into assisting the educational needs of those children. JG: Ten years from now, where would you like to be and what would you like to be doing? 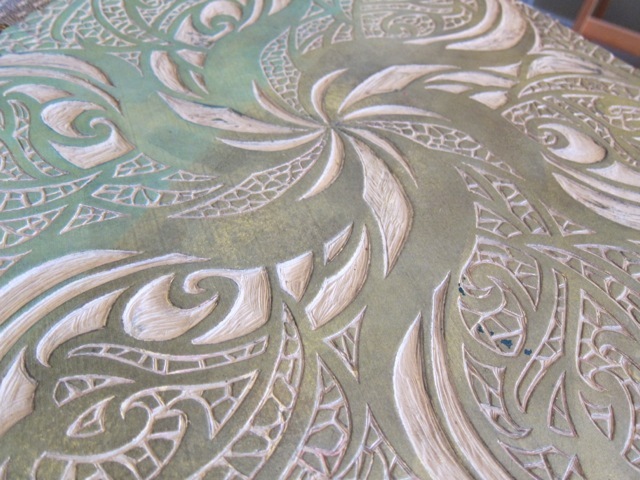 RW: I am working on a new Mandala design for block printing, and a new portrait painting.